(4 October 1894 - 19 December 1954) was a Swedish novelist, essayist, poet and biographer. He was born in Tåssjö in Skåne and died at Ribbingsfors Manor in northern Västergötland. 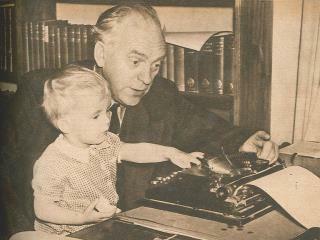 Bengtsson became widely known for his Viking saga novel The Long Ships, published in two parts in 1941 and 1945. The hero Röde Orm (Red Snake) is kidnapped onto a raiding ship as a boy and leads an exciting life in the Mediterranean and later into what is now Russia.